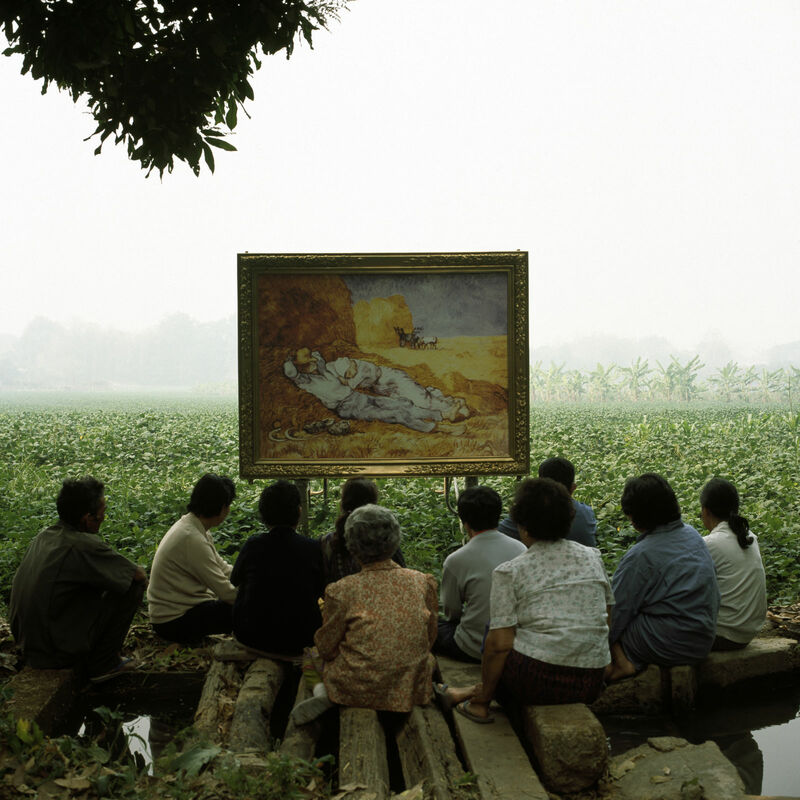 Araya Rasdjarmrearnsook is universally recognized as one of the leading video artists from Southeast Asia. 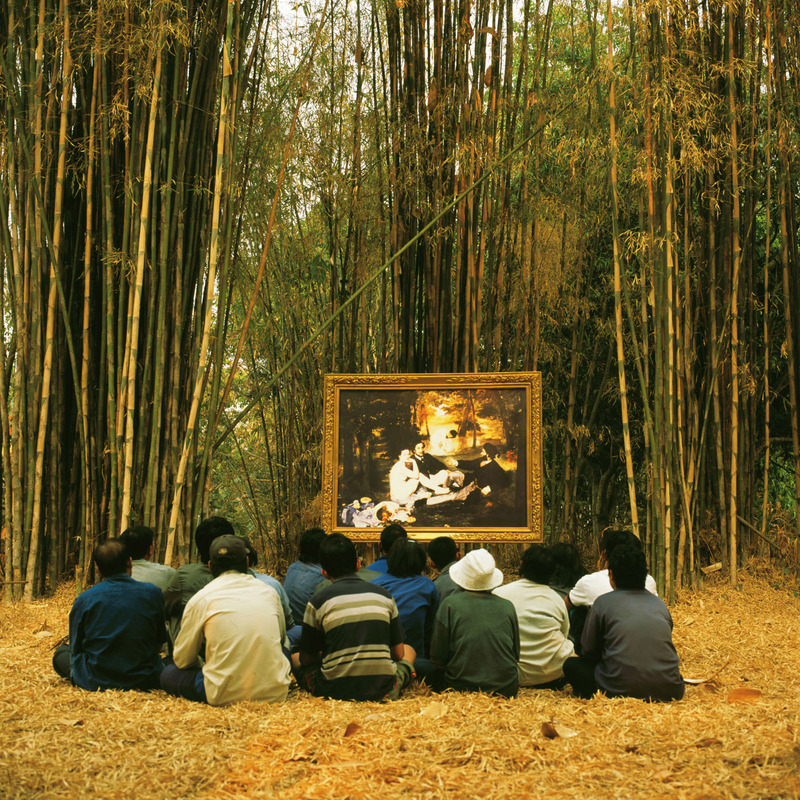 For the past 25 years, her video, installation, and graphic works have been regularly shown in institutions in her native Thailand and throughout the world. 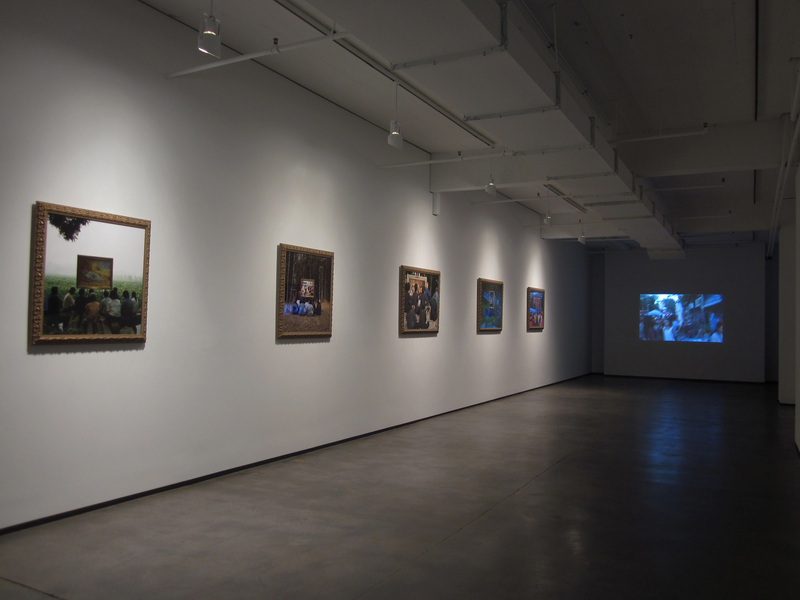 Tyler Rollins Fine Art is pleased to present Two Planets / Village and Elsewhere, the first solo show of her work in the United States, taking place at our gallery in New York from January 12 to February 25, 2012. The exhibition features the world premiere of her latest video, Village and Elsewhere: Jeff Koons’ Wolfman in Pakoitai Market and Sunday Market, as well as the first US showing of three other recent videos from her Village and Elsewhere and Two Planets series (Village and Elsewhere: Artemisia Gentileschi’s Judith Beheading Holofernes, Jeff Koons’ Untitled, and Thai Villagers; Two Planets: Millet’s The Gleaners and Thai Farmers; and Two Planets: Manet’s Luncheon on the Grass and the Thai Villagers). A group of related photographs will also be included in the exhibition. 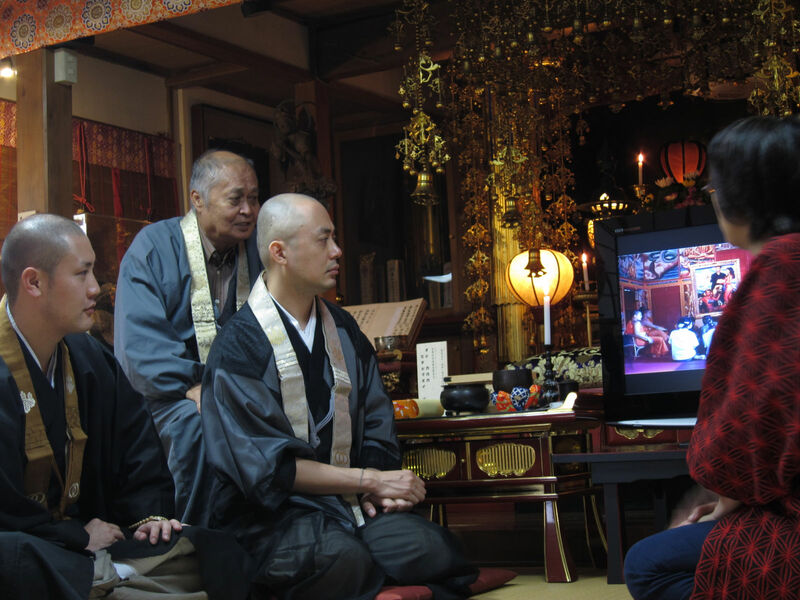 Araya’s video works have a meditative, ritualistic quality, and, like many of humanity’s important rituals, they are often focused on the idea of communication between different realms. Her earlier works, for example, have explored the connection between the living and the dead, between the insane and “normal” people, and between humans and animals. 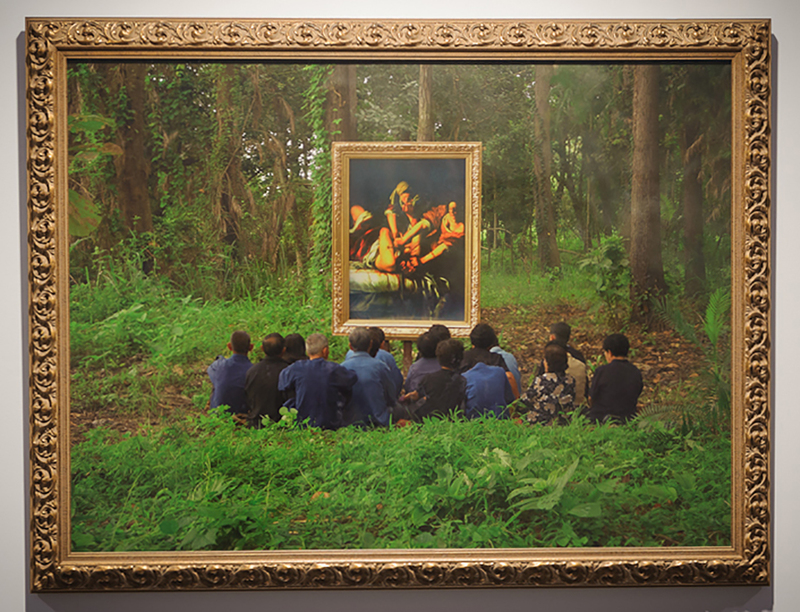 Over the past few years, Araya has focused on art itself and the way the viewer interacts with a work of art. 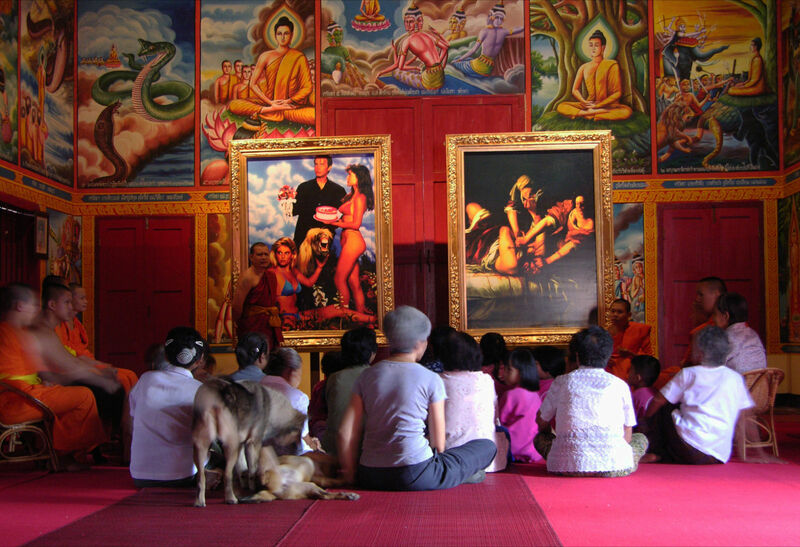 In the videos she presents in this exhibition, Araya has placed framed reproductions of iconic Western artworks in settings that are radically different from the art museum, specifically in rural villages, markets, and Buddhist temples in Thailand, where she films groups of farmers or working class people discussing the artworks. 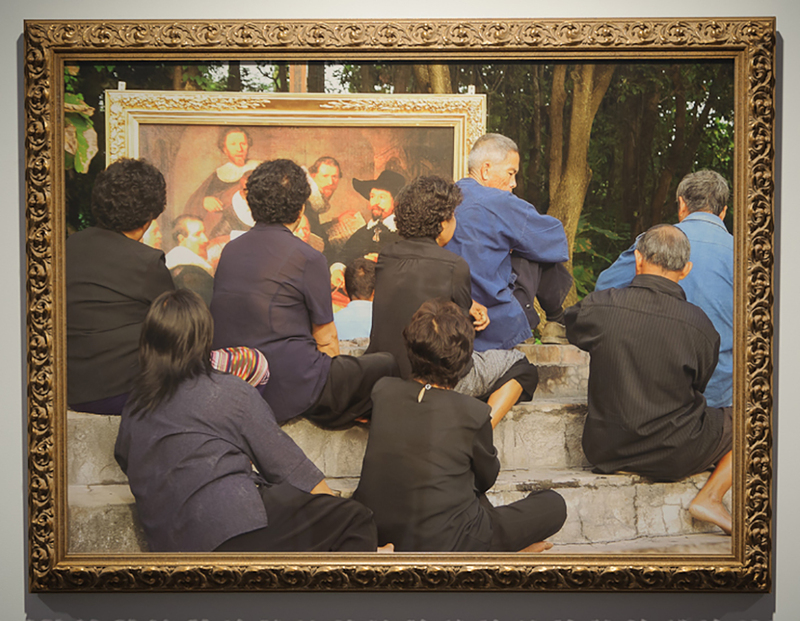 The scenes are shot from the perspective of a member of the crowd, thereby incorporating the viewer into the flow of conversation. 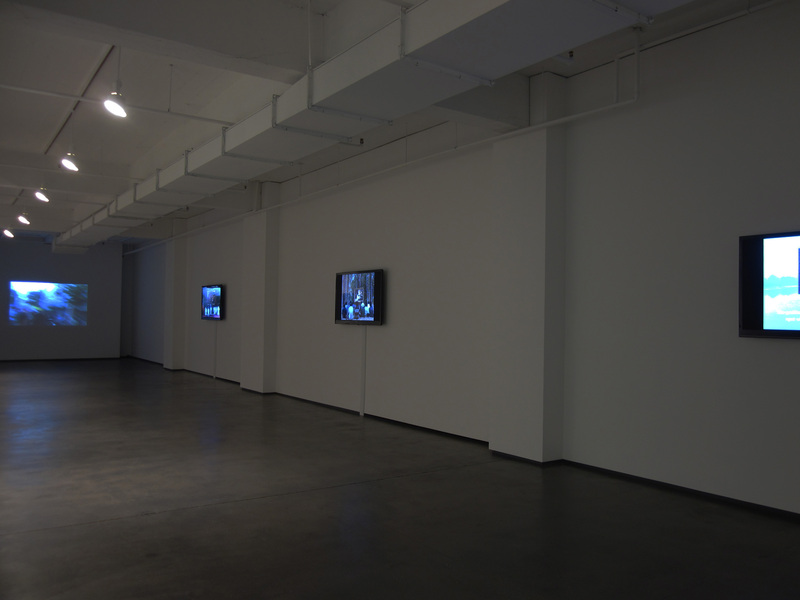 With the four videos screening simultaneously in the gallery, the various soundtracks seem to meld together as a constant barrage of different voices buzzes in the air, with English subtitles providing a selective translation of the Thai dialogue, suggestive of the artist’s own attempt to manage, organize, and make sense of the unfolding events. These videos show the meeting of two different worlds: “high art” and everyday life; the personal and private spheres; elite vs. mass culture; art and commerce; East and West. While issues of class and cultural differences, exoticization of the “other,” etc., are invoked, these videos also convey a sense of curiosity, humor, and joy that emphasize a common humanity. 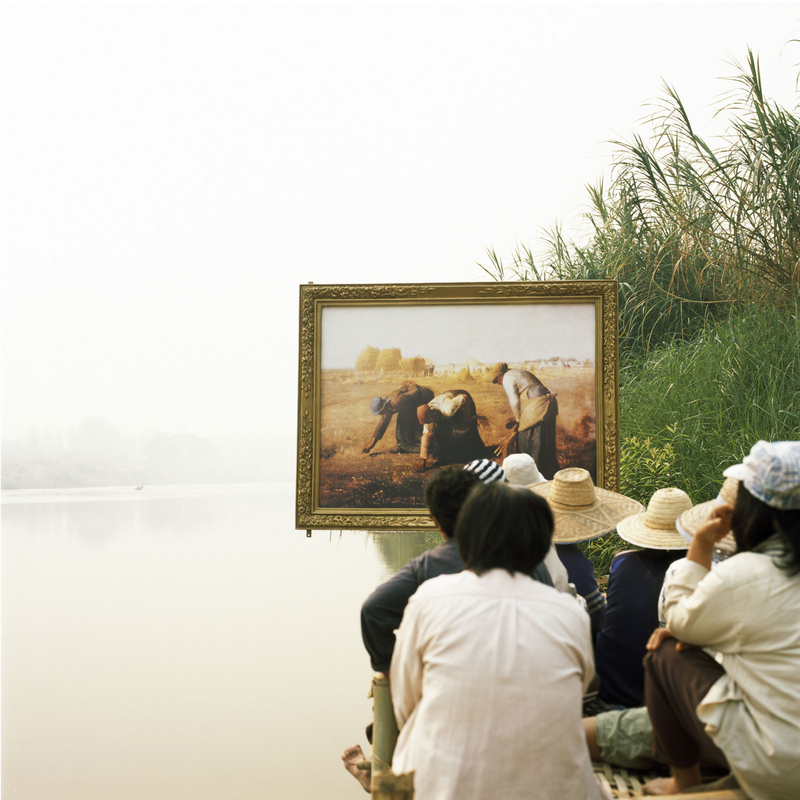 Later this year, the Walters Art Museum, Baltimore, will present Araya’s first solo exhibition in a US museum (August 11 – November 18, 2012), and she will also be included in Phantoms of Asia: Contemporary Awakens the Past at the Asian Art Museum of San Francisco (May 18 – September 2, 2012). 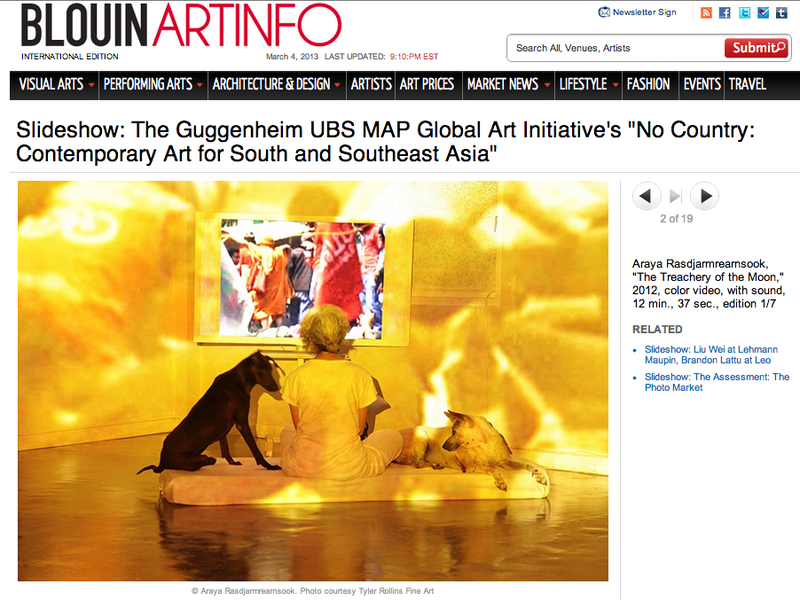 Her works have been shown in numerous international museum exhibitions on five continents, including the groundbreaking exhibition, Traditions/Tensions: Contemporary Art in Asia, organized by the Asia Society, New York, in 1996. In 2011 alone, her work was featured in group exhibitions at the National Museum of Art, Osaka, Japan; the Musée de l’Objet, Blois, France; the Zentrum für Kunst, Karlsruhe, Germany; the Sørlandets Kunstmuseum, Kristiansand, Norway; the Palazzo Fortuny, Venice, Italy; MDE11 (Encuentro Internacional de Medellin), Medellin, Colombia; the Changwon Asian Art Festival, Gyeongnam, South Korea; and the Singapore Art Museum. 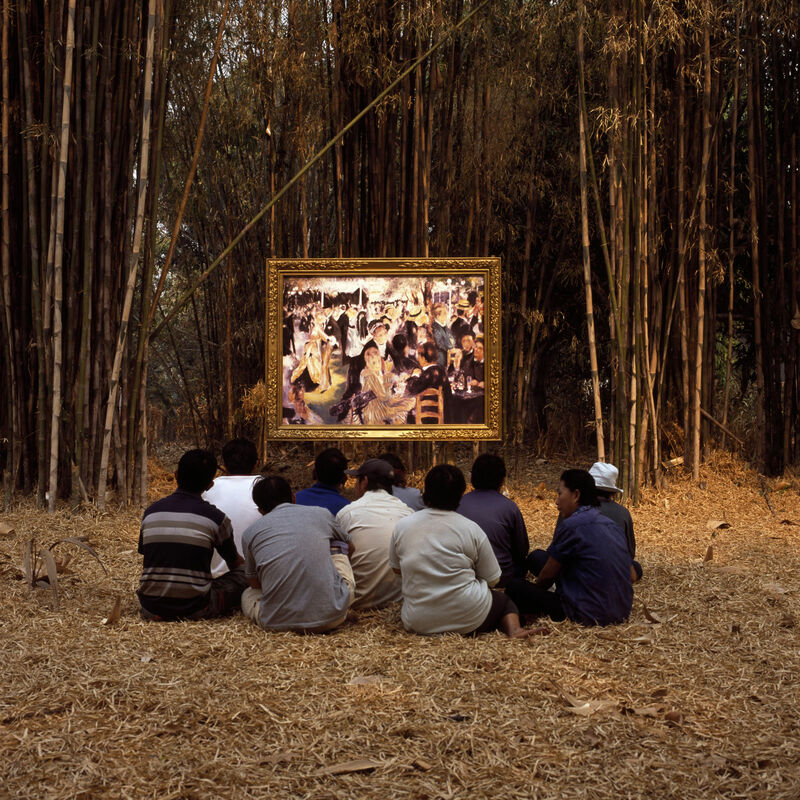 Araya’s work has been regularly featured in international biennials; she represented Thailand at the Venice Biennale (2005) and was featured in the Sydney Biennale (2010 and 1996), the Nanjing Biennale (2010), the International Video Art Biennial in Tel Aviv (2010), the Ural Industrial Biennale of Contemporary Art (2010), the Incheon Women Artists Biennale (2009), the Taipei Biennial (2006), the Gwangju Biennale (2006), the Carnegie International (2005), the Istanbul Biennial (2003), the Johannesburg Biennial (1995), and the Asia Pacific Triennial (1993). She was also an artist in residence at Artpace, San Antonio (1998-1999). We are pleased to welcome her back to the US.